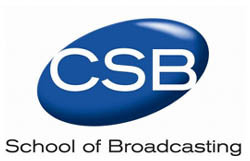 *The sudden closure of the CONNECTICUT School of Broadcasting's 26 campuses nationwide came as a shock to many in the broadcasting industry on Wednesday - and as even more of a shock to the students, just days from graduation, who'd paid $12,000 in hopes that the school, more recently known as the "CSB School of Broadcasting," would launch them into - as CSB's website offered - "a great career in broadcasting." That might be a pipe dream for anyone in our industry these days, but it's now especially bad news for CSB students and alumni, who'd been promised lifetime access to the school's studios (including locations in Needham, Mass. ; Hasbrouck Heights and Cherry Hill, NJ; Westbury, NY; Pittsburgh; Stratford, Connecticut and the original location in Farmington, Connecticut) and its alumni network. CSB's locations were shuttered before classes started Thursday morning, after the school's bank accounts were seized by lender PNC Financial, leaving the school with no choice - it said - but to close down and file for bankruptcy. And without an active school enrolling them, many former CSB students are apparently finding that they're no longer eligible for the internships they were doing at radio and TV stations across the region, adding insult to injury. *WDAQ (98.3 Danbury) has named a new morning man: he's Rich Minor, who moves north from WJJS in Roanoke, Virginia. And in New Haven, WPLR (99.1) has reversed its decision to cancel the "Local Bands Show," a 21-year Sunday night staple on the rock station, after what the show's hosts call a "truly wonderful outpouring" of support from listeners and local musicians. *We start our NEW YORK report with an "ending" - two weeks after Sinclair's upstate stations (Fox affiliates WUTV 29 Buffalo, WUHF 31 Rochester and WSYT 68 Syracuse and My affiliate WNYS 43 Syracuse, as well as Pittsburgh's WPMY 22 and WPGH 53) ended regular programming on their analog signals, those stations pulled the plug on the "nightlight" loop and silenced their analog transmitters for good at 11:59:59 PM on Tuesday (March 3). 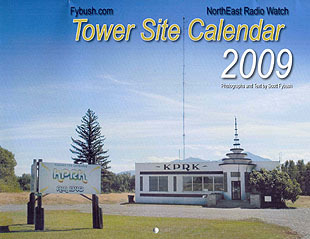 Having been parked in front of the old 25" Zenith when WUHF signed on for the first time back in January 1980, NERW couldn't resist the opportunity to be there at WUHF's Pinnacle Hill transmitter site when the station left the airwaves. It was rather unceremonious - viewers at home, if there were any left, simply saw the nightlight loop cut to static - but it's another step into the digital future, and we'll be back up on Pinnacle Hill in June when the market's other stations shut down their analog signals. It's more than just the analog signal going away at Syracuse's CBS affiliate; as we reported in an update to last week's NERW, Granite Broadcasting cut the jobs of some 40 staffers at WTVH (Channel 5) after Monday morning's newscast, as WTVH entered into an LMA with Barrington Broadcasting's NBC affiliate, WSTM (Channel 3), under which WSTM will handle most aspects of WTVH's operations. What followed - and what's been airing on WTVH at 5, 6 and 11 all week long - was essentially a rewritten version of the same newscast being seen on WSTM in the same slots, with WSTM's weather and sports anchors and field reports from WSTM staffers. 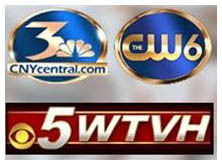 During the morning and noon slots, WTVH has simply been simulcasting WSTM's newscasts, albeit with WTVH graphics. That's a temporary situation, it appears; Granite has entered into similar LMAs in other markets (most notably Fort Wayne and Duluth, but also Peoria, where Granite's WEEK took over operations last week at Barrington's WHOI), and we'd expect the WSTM/WTVH joint operation to follow that pattern: a common brand (a la "Indiana's News Center") for both stations, with some newscasts in alternating timeslots - say, 5 and 6 PM on one station, 5:30 and 7 PM on the other. Meanwhile on the radio dial, Clear Channel's Aloha spinoff trust has sold WWDG (105.1 DeRuyter) - and the new owners should be plenty familiar with the station. Craig Fox and Sam Furco owned the station, then religious WVOA, until May 2000, when they sold it to Clear Channel for $5 million. That was then; in today's economy, Fox and Furco (doing business as "Foxfur Communications" for this purchase) are paying a mere $1.25 million to buy the station back. It joins what's become an extensive group of signals that Fox and company control in the Syracuse area: there's Radio Disney trio WOLF (1490 Syracuse)/WWLF (1340 Auburn)/WAMF (1300 Fulton), "Movin'" rhythmic AC simulcast WWLF-FM (100.3 Sylvan Beach)/WOLF-FM (96.7 Oswego), religious WVOA (103.9 Mexico, which picked up the format and calls from 105.1 back in 2000), religious/black gospel WSIV (1540 East Syracuse) and the as-yet-unbuilt WVOA (720 DeWitt). Conveniently, the Syracuse radio market is defined narrowly enough that the Sylvan Beach (Oneida County) and Auburn (Cayuga County) stations fall outside its borders, leaving Fox with seven "in-market" signals once the WWDG purchase closes - plus a slew of LPTVs and FM translators, including W252BC (98.3 Camillus), which Fox is acquiring from Clear Channel along with WWDG. As for Clear Channel, it will still be left with a substantial cluster of stations in the market: news-talk WSYR (570 Syracuse), sports WHEN (620 Syracuse), AC WYYY (94.5 Syracuse), urban WPHR (106.9 Auburn, moving to Camillus), top-40 WWHT (107.9 Syracuse) and market-leading country giant WBBS (104.7 Fulton). As the FCC continues to sort through the thousands of applications it received in its 2007 noncommercial application window, it's winnowed out a winning application in a mutually-exclusive pile-up in central New York: Tyburn Academy's application for 88.7 in Fleming beat out applications from Syracuse University and Syracuse Community Radio for that frequency in Skaneateles and Marcellus, respectively. *There's a new PD at New York's WRKS (Kiss 98.7), as Jill Strada moves down the hall from her post as APD/music director for sister station WQHT (97.1) to take over the programming reins that have been held most recently by Ebro Darden, who'll now be able to focus exclusively on programming Hot 97. But while Strada arrives at 395 Hudson Street, several other Emmis staffers are leaving, the victims of employment cutbacks at the struggling company. Julie Gustines, veteran music director at WRKS, is out - and so is Kiss morning host Jeff Foxx, who leaves behind co-host Raquiya and news guy Bob Slade. 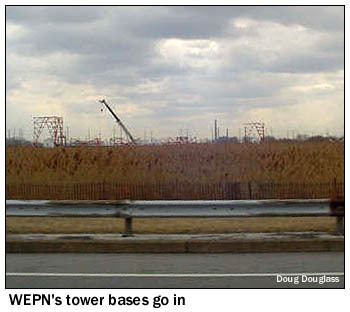 ESPN Radio's WEPN (1050 New York) is moving ahead on construction of its new tower site in Secaucus, N.J., as several drivers who've been past Turnpike exit 16E have let us know in recent days. Doug Douglass sent along this shot from early last week, showing the bases of two of the new self-supporting towers, and Russ "Famous Amos" DiBello reports that since then, one of the towers has been nearly completed, lights and all. Once the site is ready for use, WEPN will be able to leave behind its old site near Giants Stadium, where construction of the nearby Xanadu entertainment/retail complex has made continued operation impossible. Meanwhile at WEPN, a schedule change next Monday (March 16) will add ESPN's Colin Cowherd show to the New York lineup from noon-2 PM, chopping an hour off Max Kellerman's 10 AM-1 PM local show and eliminating the 1-2 PM hour of ESPN's Mike Tirico/Scott Van Pelt show that WEPN was carrying. Cowherd will launch his New York presence with a live show next week from a Manhattan steakhouse. And what about the heavily-rumored format change at CBS Radio's WXRK (92.3 New York)? It's still "K-Rock" as we go to press Sunday night, but we're still hearing the flip to top 40, apparently as "92.3 Now FM," could happen any day now...and of course we'll update as soon as we hear anything more definite. Returning to TV news, the launch last Monday of NBC's Late Night with Jimmy Fallon brings with it some big structural changes on the historic sixth floor of 30 Rockefeller Plaza. After more than a quarter-century as the home of Late Night under David Letterman and Conan O'Brien, studio 6A has been vacated, with the new Fallon show originating across the hall in studio 6B. That studio was the historic home of the Tonight show with Jack Paar and Johnny Carson in the sixties and seventies, but after Carson moved west, 6B's audience seating was removed and the studio became the home of WNBC's local newscasts. But WNBC moved upstairs late last year to its newly-expanded newsroom/studio called "7E," making room for the return of audience facilities and the launch of the Fallon show. And this morning brings with it big changes up in 7E, as WNBC finally launches its long-postponed local digital subchannel. When "New York Nonstop" debuts at 5 AM on WNBC-DT's 4.2 subchannel (former home of the defunct WeatherPlus) and digital cable, it's being billed as a "round-the-clock local information and lifestyle channel." That will include news updates every 15 minutes, and a new flagship newscast, Chuck Scarborough's "New York Nightly News" at 7 PM. The 7 PM newscast had been seen on WNBC's main channel until last Friday, but the move to 4.2 will allow it to expand to a full hour, with "Extra" filling the 7-7:30 PM slot on WNBC itself. *In MASSACHUSETTS, the new news director at Boston's WCVB (Channel 5) arrives from within the Hearst-Argyle New England family: Andrew Vrees heads south on the Everett Turnpike from sister station WMUR (Channel 9) in Manchester, NEW HAMPSHIRE, where he's been news director for the past five years. Vrees has also worked at Hearst's KOAT in Albuquerque, as well as at stations in Toledo, Fairbanks, Anchorage and Lawton, Oklahoma. 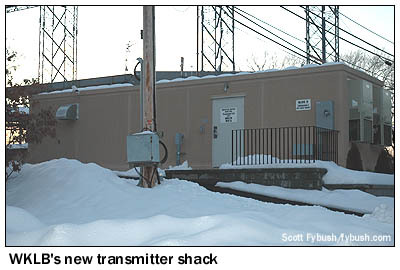 Here's an application that came as no surprise: when we reported a few months back that Greater Media's WKLB-FM (102.5 Waltham) had filed to build a new auxiliary transmitter site at the CBS tower on Cedar Street in Needham, we speculated that the station would soon apply to make the Cedar Street site its main transmitter location. That happened last week, with WKLB applying for 14 kW/905', instead of the 8.1 kW/1151' it currently uses at the "FM128" tower a mile away across Route 128. The move returns 102.5 to the tower site it used for much of its time as WCRB-FM in the seventies and eighties - and it allows WKLB-FM to continue its experiments with higher power on its HD Radio carriers, where it's been testing with 10 times the usual injection level. Remember that walk that "Touch 106" pirate operator Charles Clemons said he was going to take - the one from Boston to Los Angeles to promote his quest for a licensed low-power signal for his unlicensed station? It's now "postponed due to poor weather," per his website...and who ever would have anticipated unfavorable weather in the northeast in March? There's no date set yet for another try at the "Walk for Power." And we remember Steve Amirault, who died Monday (March 2) at 62. While his most recent broadcast work was in Haverhill, as founding PD of the innovative webcaster WHAV.net, much of Amirault's career was spent in Lowell, where he programmed WLLH and then WCAP, where he was working when the station boosted power from 1 kW to 5 kW and went full-time. *Two more analog TV signals that went dark for good last week: in Providence, RHODE ISLAND, WNAC (Channel 64) ended its two weeks of nightlight operation Tuesday night, and a day or two later, up in New Hampshire, Telemundo's WNEU (Channel 60) quietly left the analog airwaves as well. *The format wheels keep spinning in MAINE, where Saga rearranged its AM lineup in Portland last week. On Tuesday, WZAN (970 Portland) traded its "hot talk" lineup - Bob & Tom, Lex & Terry, Mike O'Meara, Adam Carolla and Loveline - for "Maine's Talk Radio," a lineup that starts with Don Imus in mornings and includes Laura Ingraham, Sean Hannity, Michael Savage and Phil Hendrie. Then, on Wednesday, the "hot talk" moved up the dial to Imus' former morning home, WBAE (1490 Portland)/WVAE (1400 Biddeford), displacing standards "The Bay" on those frequencies with a lineup that includes the rest of the old WZAN talent except for Adam Carolla, whose syndicated show went away when his flagship station, KLSX (97.1) in Los Angeles, changed format. "AM 1400/1490" will also continue to carry Sea Dogs baseball and Pirates hockey. We've overlooked a format shift on the outskirts of Bangor, where Stephen King is now simulcasting sports WZON (620 Bangor) on WDME (103.1 Dover-Foxcroft), that station that once had its studios in a train car. Meanwhile at Blueberry Broadcasting, we hear Kelly Slater, former general manager of Clear Channel's Augusta and Bangor signals before Blueberry took over, has departed. Slater had been working as sales manager for the group. We also hear WCME (96.7 Boothbay Harbor) is now simulcasting rocker WTOS (105.1 Skowhegan), dropping the short-lived "Star" AC format it had picked up from WKCG (101.3 Augusta, now talker WVQM) just a couple of months ago. And we're sorry to report the death of Nelson Doak, who started working at WKTJ (99.3 Farmington, and also AM 1380 back then) as a salesman in the seventies, later becoming a co-owner of the station in 2000. Doak left WKTJ in 2003 to undergo a triple bypass and to await a heart transplant, which he received in 2004, allowing him to return to the station briefly. Doak and partner Marc Fisher sold WKTJ in 2005, and Doak had suffered additional health problems in recent years. He was 60 when he died last week. *Executives at VERMONT Public Radio are taking pay cuts as they guide the statewide service through budget cuts driven by the tough economy. VPR says it's cutting its budget by about 11% this year, with the network's upper management cutting their salaries by 7.5% as they try to weather drops in underwriting and listener contributions. *One of NEW JERSEY's oldest college radio stations is continuing its sixtieth anniversary celebration. WSOU (89.5 South Orange) is the subject of a new exhibit at Seton Hall University's Walsh Library Gallery. "The Loudest Rock: 60 Years of Pirate Radio," curated by three Seton Hall graduate students, opened on Thursday and will be on display through April 10. *A veteran talk voice in western PENNSYLVANIA is back on the air as of tonight: more than six months after losing her afternoon slot on WPTT (1360 McKeesport) when that Pittsburgh-market talk station flipped to business talk as WMNY, Lynn Cullen is joining Sheridan's WAMO (860 Millvale) for the 5-7 PM shift. In Philadelphia, Dan Gosselin is out as PD of Greater Media's WNUW (97.5 Burlington NJ), with WBEN-FM (95.7) PD Jules Riley adding "Now 97.5" duties to her "Ben FM" responsibilities. Colin Cowherd is getting a Philadelphia presence as well as his new New York clearance: WPEN (950) will run Cowherd from 10-11 AM, following an extra hour of "Mike and Mike" (now heard only 6-9 AM on WPEN). Local hosts Jody McDonald and Harry Mayes move from 9 AM-1 PM to 11 AM-3 PM, leaving Mike Tirico and Scott Van Pelt, now heard from 1-3 PM, as the odd men out. In Scranton, public radio WVIA (89.9) has added an HD2 subchannel, and it's not your typical public radio fare - instead, they're carrying the syndicated "Music of Your Life" format. A pair of obituaries from Philadelphia: talk radio pioneer Frank Ford was still using his real name, Ed Felbin when he started on WHAT way back in 1937. He took his air name from a one-time sponsor, Frankford Unity Grocery Stores, and over the course of many decades he was heard up and down the dial everywhere from WIP to WWDB to WPEN to WCAU to WFLN(AM), which Ford purchased in 1985. He converted the station to talker WDVT ("We're Delaware Valley Talk") and served as the station's general manager and midday personality until selling the station (now WURD 900) in 1988. Ford, who was married to Philadelphia district attorney Lynne Abraham, died of a stroke Tuesday, at age 92. Harrison Ridley, Jr., whose jazz shows were a staple of WRTI (90.1)'s Sunday night programming for more than three decades, died February 19 at age 70. His program, "The Historical Approach to the Positive Music," started on WRTI in 1976, and for the last twenty years Ridley was also an instructor at WRTI's parent institution, Temple University, as well as Villanova and other schools. And while we could have mentioned the death of voiceover legend Brian James under just about any state heading in this week's NERW - after all, his edgy voice work was heard everywhere - we're putting him under the Keystone State because that's where he once worked, as creative services director at the old WBZZ (B94) in Pittsburgh. James later moved to Scottsdale, Arizona, where he became one of the nation's top imaging voice talents before his untimely death of a heart attack Friday (March 6) at age 48. *The troubles of CANADA's local TV industry deepened last week, as CTV pulled the plug on local newscasts at its "A" outlets in Barrie, London and Ottawa/Pembroke. At the latter (the station formally known as CHRO), Tuesday brought an abrupt end to the 6 and 11 PM newscasts that came from the "Market Media Mall" studios in downtown Ottawa and the original CHRO studios in Pembroke. That leaves only the Ottawa-based "A Morning" show, now extended to four hours, along with a lone videographer in Pembroke, and puts 34 people out of work at both stations. In London and Barrie, it was the morning shows at "A" (aka CFPL-TV and CKVR, respectively) that were cancelled after Tuesday's installments, replaced by repeats of the previous night's 11 PM newscast, leaving about 50 employees out of work in London and a smaller number in Barrie. In all, "A" cut 118 staffers - about a third of its nationwide total - from the Ontario stations and from its stations in Halifax and Victoria, B.C. Meanwhile, Francophone news-talk listeners across much of Quebec will be out of luck at month's end, when Corus plans to flip CHLT (107.7 Sherbrooke), CHLN (106.9 Trois-Rivieres), CKRS (98.3 Saguenay) and CJRC (104.7 Gatineau-Ottawa) from news-talk to a classic hits-oldies format called "Souvenirs Guarantis," similar to CFOM (102.9 Quebec City). Each of the four stations being flipped is a recent convert from AM; indeed, CJRC's AM transmitter on 1150 was still on the air at last check, with March 16 the target date to end AM operations. The Citadel budget cutbacks have claimed local sports radio in RHODE ISLAND. The struggling broadcast company pulled the plug this morning on "The Score" (WSKO 790 Providence/WSKO-FM 99.7 Wakefield-Peace Dale), replacing it with satellite-fed True Oldies Channel on the AM side and with an FM simulcast of news-talk WPRO (630). Since there's already a WPRO-FM (Citadel's top 40 station on 92.3), the move presents a bit of a branding issue, being resolved for now by calling the news-talk simulcast simply "630 WPRO & 99.7." Don Imus' morning show remains in place on the 790 AM signal, and we're hearing the venerable WEAN calls may be resurrected there. (Right now, 790 is using new calls WPRV; we suspect those calls may actually be destined for 99.7 when the changeover is complete.) Fans of Opie & Anthony, who had been heard on 99.7, will have to try to pick them up from Boston's WBCN; fans of the Jim Rome show are out of luck for now. It's rare that we start the column with an obituary, but in his 56 years, Fred Horton touched so many radio people in his native upstate NEW YORK and beyond that it seems only fitting he lead off this week's issue. Horton grew up in Syracuse and began his radio career there, as one of the many jocks to pass through the doors of WOLF, then across town at WNDR. After that, his travels took him all across upstate New York, including stints at WAAL in Binghamton, WRUN/WKGW in Utica, WGNA/WPYX/WTRY in Albany (where he's credited with making WGNA's country format into a major player), WSEN and WYYY back in Syracuse, WCMF in Rochester, and some time as a record promoter in Buffalo. In 1993, Horton became PD of New York's country WYNY (103.5), scoring the station its highest ratings in that format before its flip to WKTU. Horton also worked in Connecticut, as PD/station manager at WDRC, in Grand Rapids at WGRD, and in Memphis at WGKX. More recently, he worked in Rochester as morning man and PD at WBEE-FM (92.5) in the late nineties, moving to Erie, PA in 2001 to be morning man (and eventually operations manager) at WXTA (97.9 Edinboro), a job he held until just last year. "Uncle" Fred was a radio guy to the core, and remained passionate about the medium even in the last days of his fight against cancer, which claimed his life last Tuesday (March 4). There's a frequency flip coming in southeastern CONNECTICUT, though one of the stations involved actually transmits from RHODE ISLAND and the other from Long Island. On March 18, Citadel will swap facilities between talker WXLM (102.3 Stonington CT) and classic rock "Wolf" WMOS (104.7 Montauk NY). The idea is to improve the reach of the Wolf, which broadcasts from studios at the Mohegan Sun casino but has trouble being heard in much of the region because of a signal that sometimes doesn't make it across Long Island Sound very well. Moving the Wolf to 102.3, with a transmitter site just north of Westerly, will solve that problem; the talk format on WXLM, meanwhile, will run in mono when in moves to 104.7, which should make the weaker signal more tolerable. There's a format change in southwestern Ontario: CFCO (630 Chatham-Kent) dropped its longtime oldies format last Monday, becoming "Country 92.9," branding itself with the frequency of its low-power FM relay instead of its wide-coverage AM outlet. Sister station CKSY (94.3) has rebranded as "Lite Hits 94.3." It's not the only country station in the neighborhood, either: in Leamington, CJSP (92.7) signed on Monday with country. Country fans in Kingston, Ontario, CANADA have been without a local source for their favorite music for a few weeks, ever since Corus flipped CFMK (96.3 Kingston) from "Country 96" to "Joe FM." That will change this morning, though, when Clancy-Mance Communications drops WBDR (102.7 Cape Vincent NY) from the three-station top-40 simulcast ("The Border") that also includes WBDI (106.7 Copenhagen/Watertown NY) and WBDB (92.7 Ogdensburg NY). In place of "The Border," 102.7 will become "Kix 102.7," playing country music programmed to the Canadian side of the St. Lawrence River. Kix will compete for Kingston ears with Regent's "Froggy," WFRG (97.5 Watertown), which puts a huge signal over Kingston but hasn't had an active sales force there for a while. Clancy-Mance, by contrast, has been a player in the Kingston ad market with the Border, which was splitting its ad load and running Canadian ads on 102.7 while targeting U.S. listeners with separate ads on 106.7 and 92.7. The Mohawk Valley of upstate NEW YORK gets a new standards station this morning, thanks to Lloyd Roach's Route 81 group. After several days of simulcasting classic rocker WRCK (107.3 Utica), WKLL (94.9 Frankfort) will launch today as WTLB-FM, running in tandem with standards WTLB (1310 Utica). Down the Thruway a bit, the former WBUG (1570 Amsterdam) turns out to have flipped to talk - those new WVTL calls stand for "Valley's Talk Leader." In the Finger Lakes, we hear George Kimble's Radio Group closed Friday on its purchase of WFLR (1570 Dundee) and WFLR-FM (95.9 Dundee); more on this one next week. One CONNECTICUT note: Hartford's WKSS (95.7) is trying to fill a bit of the void left behind when sister station WMRQ (104.1) flipped from modern rock to R&B WPHH (Power 104) last year. It's now breaking from its usual top 40 each weeknight from 10 PM until 2 AM to play modern rock as "Channel 957." 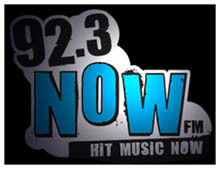 Smooth jazz came to central PENNSYLVANIA last week, as Hall Communications pulled the plug on the oldies at "Big 92.7" WHBO (92.7 Starview PA) last Monday, replacing it with "Smooth Jazz 92.7" under new calls WSJW. And WHBO wasn't the only oldies station to disappear from the dials around Harrisburg - over in Carlisle, Route 81 dropped the 50s and 60s oldies it inherited from Citadel at WHYL (960), replacing them with a locally-programmed standards format starting Saturday morning (March 6). Route 81 also launched a morning show at WNAK (730 Nanticoke) and WNAK-FM (94.3 Carbondale), putting market veteran Terry McNulty back on the air.